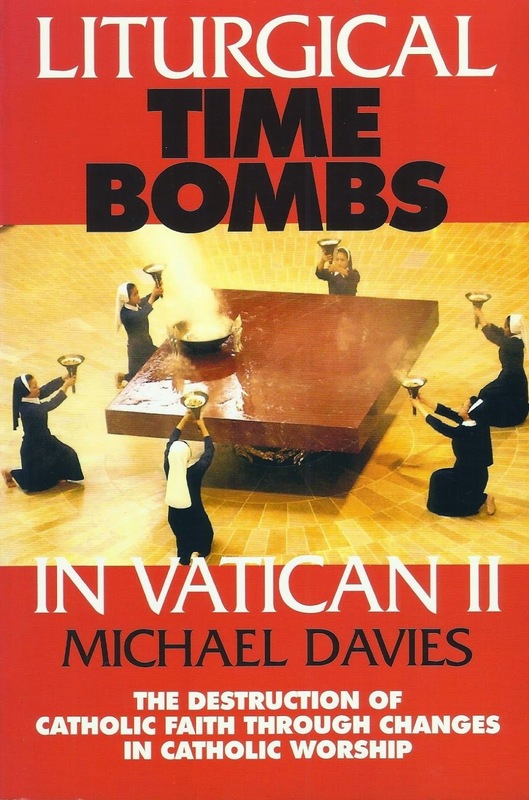 I was recently given a book called 'Liturgical Time Bombs in Vatican II', by the late, and much admired, Michael Davies. I look forward to reading it over the Christmas period. Finally! Something all Catholics can agree on! I'll happily do a book review for readers once I have read it. Don't want to spoil your anticipation but I read this a couple of years ago and it wasn't a "bones-thrilling" read. But maybe you'll disagree. Put your conspiracy-theory head on before you start. It's brilliant. As is everything by Michael Davies. Also, it's no 'conspiracy theory'. Michael never wrote anything of this nature unless he had proof and could quote chapter and verse. Cover is interesting. If they changed it to a photo of Bergoglio presiding at the Tango dance Mass, it might enjoy a resurgence in sales. I'm sure Davies would approve. P.S. Sometimes conspiracy theories turn out to be true. It's a great little book. When you finish with that, get a copy of "Pope John's Council" by Michael Davies. It's worth its weight in gold. Michael Davis coverage of the liturgical changes of the council are all referenced. He knew many of the key players of the council personally and was a friend of the the-then Cardinal Ratzinger. His only fault was not the link the post-conciliar liturgical revolution to the reforms that pre-dated it e.g) Pius XII Holy Week and Psalter changes. Still his conclusions are hard to argue against. More on the "Rigged" Election?